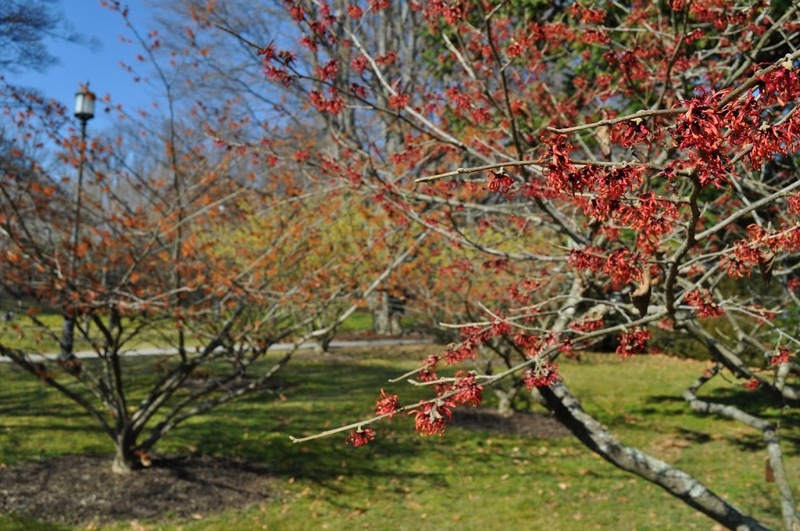 Witchhazel blossoms on February 5th! Not here, but down in Longwood Gardens in Kennett Square, PA, a public botanical and pleasure garden around which I had some time to wander before giving a lecture. One little grove was particularly fragrant and comely, with a few witchhazels shrubs with yellow blossoms, some with bright orange blossoms, and some with brownish orange blossoms. February 5th is early for witchhazel even down there, reflecting what has been the mildest winter in memory. 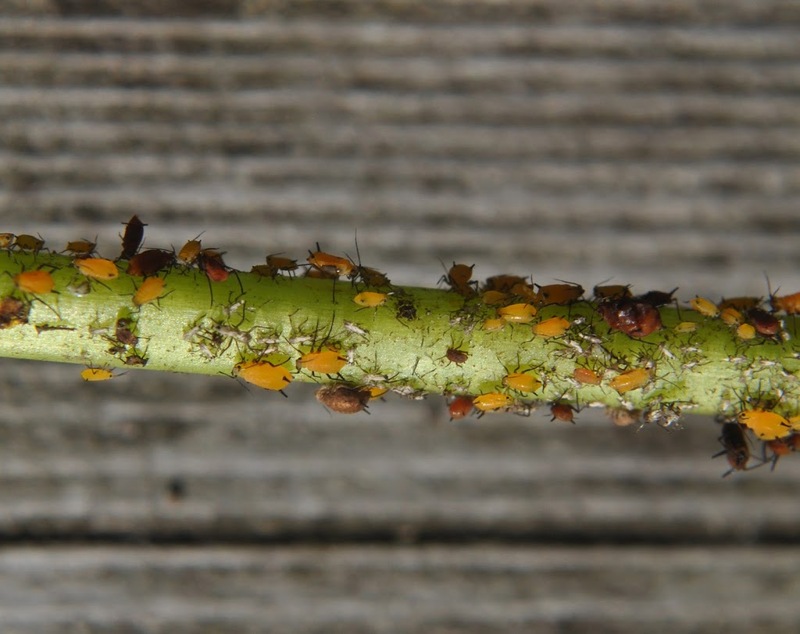 While many people prefer mild winters, this weather worries a lot of gardeners. Are plants going to become “soft?” Is possible cold weather in the weeks ahead going to do them in? See previous post, below, about my new book, just out!! GROW FRUIT NATURALLY: A HANDS-ON GUIDE TO LUSCIOUS, HOMEGROWN FRUIT. Every time I walk out the back door on the way to the greenhouse, chicken coop, or compost pile, I take a look at my vegetable gardens. No, I’m not checking out what’s growing. Nothing’ growing, except for a few stalks of kale and some green tufts of mâche. My real interest is how the vegetable garden looks, now, in midwinter. Too many people plant their vegetables in “vegetable prisons:” undersized gardens with oversized fencing relegated to a distant corner of the yard. At almost a year old, my bonsai is looking, if not wizened, at least tree-like and a welcome sight in winter. 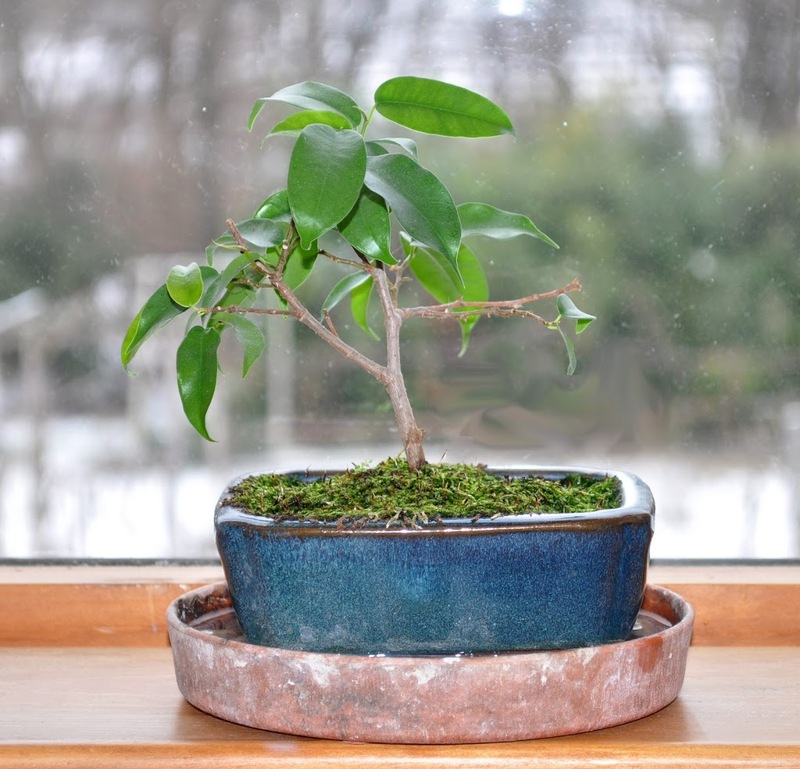 This bonsai began life in a big box store, a weeping fig in a 4 inch pot. Weeping figs are so easy to root from cuttings that the propagators of these plants evidently don’t even bother with individual cuttings, instead just sticking clumps of them together. Or maybe they’re sold in clumps to make the plants look bushier. At any rate, I divided the clump as soon as I got home and then had 4 weeping figs.